Each week the growing ODIN Governance Team provides an update as to the current commitments and progress on two conference calls to cover all timezones. The following updates were discussed on Monday 18th March 2019. Meeting notes were collated by Thursday 21st March 2019. In total, nine ODIN governors were present in the meeting(s). It has been another very busy week with lots of progress and delivery across all areas of ODIN. We cannot express how much it has really become an amazing collaborative team effort. Things are looking very bright for ODIN, especially as we appear to be adding more and more people to our governance team each week. Without further ado, here is report number seven. Enjoy! As we worked through our initial Twitter strategy, with some original content this week, we engaged with more social influencers. There has been an uptick in impressions and overall awareness of ODIN and our ethical stance on privacy, freedom of speech, and use of blockchain and other innovative technologies for good causes. +140.7% increase for Tweet impressions, up over 61,000. 7,606 Twitter followers, with fantastic ‘followers’ to ‘following’ ratio. Averaging over 8 retweets and link clicks per day. These are all metrics we look to continue to increase as we build awareness of ODIN, further refining our brand voice, and growing our audience for the messenger app. 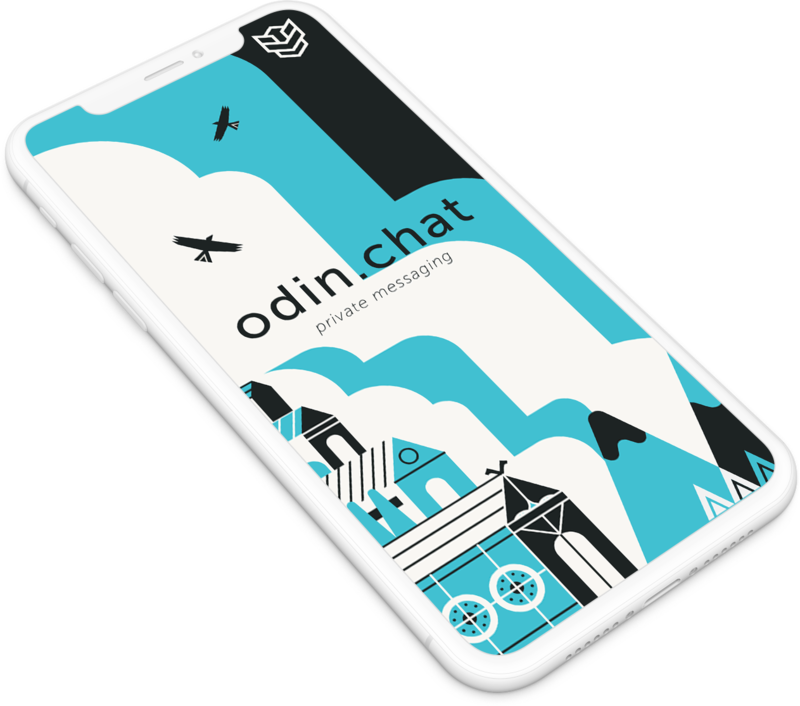 A recent mockup for the odin.chat app home splash screen. This above shows an Apple iPhone X. A closed testing group continues to grow in numbers and provides feedback on the odin.chat app which we have in an Alpha release on the Google Play store. We have collated this and have some really useful user experience feedback to implement on the next Alpha release. Some eagle-eyed community members spotted the name odin.chat and tried it out in the browser after last week’s report. The odin.chat site is now complete and we did a soft launch over the past few days. 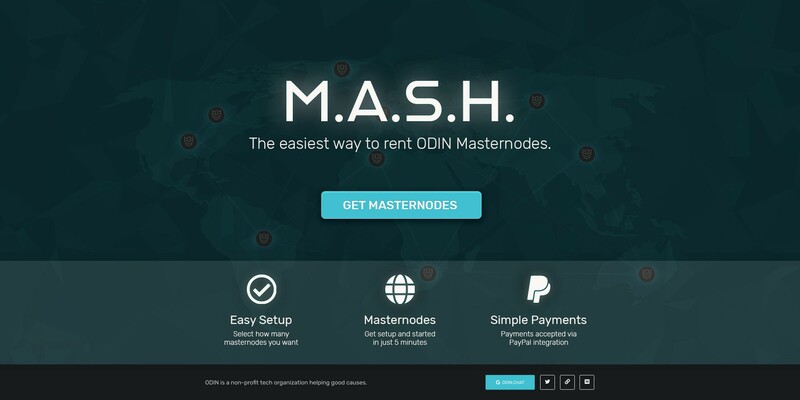 This is connected to an ODIN (Mailchimp) campaign landing page which we have created to enable users to sign up for early access to the app. We may look at an incremental roll-out to ensure smooth operation for all app users at launch, and if you are wanting to be one of the first users, we recommend you request access at the earliest opportunity. The Massive Automated Scalable Hosting infrastructure and frontend is now close to completion for early users. Certain features are still in development and testing is continuous in the background. We are excited about this and are aiming to have a launch date for you all soon. For now, feast on this homepage design which is likely to be what you see when we do launch. Please note, this is still subject to change, but we wanted to share it with you! We have several new ODIN Governors on board now and will be revealing their detailed roles and past experience in the next report. Three of them are developers, and we are looking to bring more detail to you on the coding side in our next update. As we test and adjust the messenger in preparation for launch, we are preparing advertising and marketing campaigns to tie in with the launch. 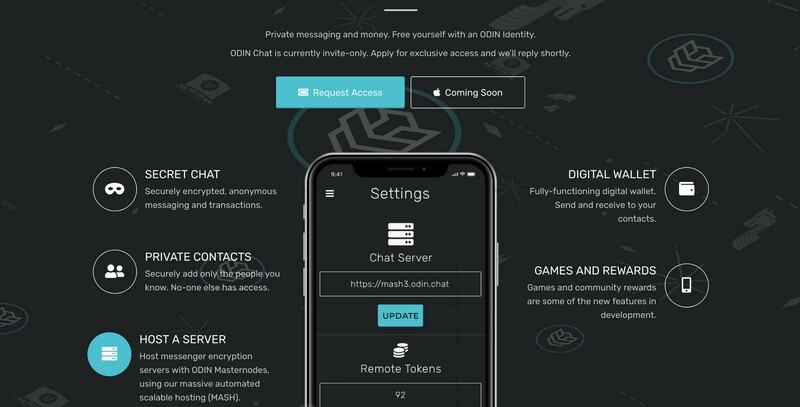 The odin.chat website is one of the key first steps we have completed here. We are in talks with various reporters and publications, which will help us to increase awareness of our project on a larger scale. Keep an eye on future ODIN Governor reports for more news on this front. We are looking to publish our future reports on Tuesdays, which is the day after our ODIN governance meetings. 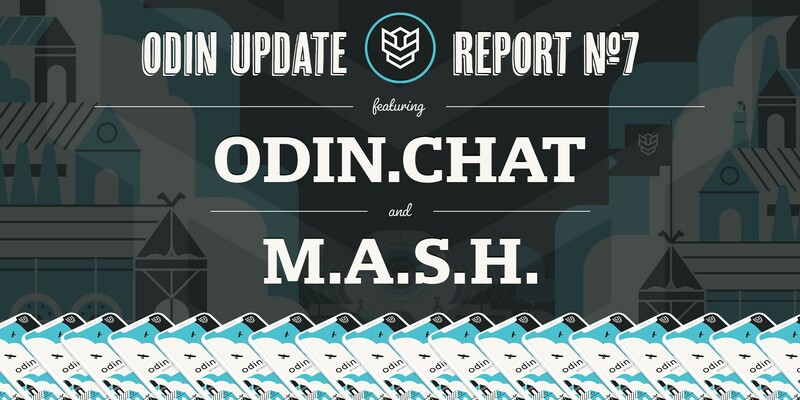 If you enjoyed this report, please do take the time to share, clap, comment on our tweets and generally engage with the growing ODIN community on Discord and Twitter. We would love to hear and discuss your thoughts on this, our latest report. Thanks!